Home / Guest Posts / Tan Speaks / Republic Day Event! 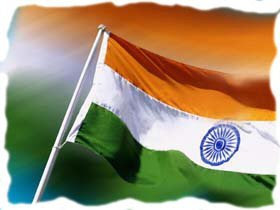 Happy Republic Day people! Wishes and dreams that flow on such an occasion in India often comes along with blemishes to humanity, to democracy and to Indian Constitution. Do you think of it? Do you get concerned? I would like to attract you to the mishap that took place in Mangalore, Karnataka on the eve on Republic Day. A group of anti social activists from the Sri Ram Sena stormed into a pub and attacked the women guests in there. They abused, assaulted, battered and beat up those women who were (perhaps) enjoying the Republic Day eve. I saw the news in the channels just before the Republic Day parade started at the Rajpath, Delhi. That was the first news of the day. I was shocked to see these inhuman spineless moving object (called Sri Ram Sena activists, supposed to be men) executing the assault. This is what is happening in India on the eve of 60th Republic Day. I am not concerned about what the women were doing there. I am concerned with the fact that people who have named themselves as Sri Ram Sena, are doing such ruthless and cruel acts. I dislike these religious political parties as much as I dislike the Pakistani terror groups. They both are synonymous and cause equal harm to the thought behind the republic of India. What do you think are those terrorists thinking when they hear this news? Yes! They are laughing their lungs out. How do you think that India will rise against terrorism, while we are indulged in such malicious activities within ourselves? India was never united – right from the time of Siraj-ud-Daulah till date. We betray each other, we envy each other and we fail to stand beside ourselves. This is how the fanatics get chance to enter our heart and tear it apart – and get away untouched! In a secular country like India, how can parties like Sri Ram Sena, Shiv Sena, Muslim League and Bajarang Dal etc. be politically recognized? Is this not a slap on the face of secularism or the Republic of India as a whole? We can never forget what Muslim League has brought upon us, 60 years ago. How can the government identify one more religion based parties politically? These are all wraths to Indian sovereign. If India wants to become a super power and actually challenge terrorism the first thing that needs to be done is to isolate these Mir Jafars from ourselves and hang them in broad daylight – once and for all. Raj Thakrey, the canny sly politician, who crafted all the communalism against North Indian people in Mumbai and Maharashtra as a whole went underground right after the terror attack on Mumbai. Was he there to talk about the brave North Indian (let me use this word here for once) commandoes, who saved Mumbai? No! Because he never thought Mumbai, or Maharashtra or India to be his own. He thought only about the power and government in Maharashtra, for all he cared about is his own political gains. Similar are these leaders of other groups – Sri Ram Sena et. al. – they are the last people to think about anyone else – not even for this cowardly group who carried out this operation in Mangalore. Sri Ram Sena? Shame on you all! In the land of Rama and Sita, you are assaulting and abusing women? How hypocritical and how shameful acts! To hell with your party and to hell with your politics! In fact, you are no politicians at all. You are just a group of anti social elements who needs to be bashed naked till death. If you have the smallest of respect for your own mothers, sisters and wives, please stop these inhuman activities and get into a life, where you can be regarded as human beings. Mates, there are huge threats to Indian Republic from all over the world. The nearest and most vivid dangers are countries like Pakistan, China, Bangladesh etc. the Americans and British are not far from declaring war against India – the only thing that is holding them is Indian Unity and growing power – be it economic or nuclear. India is shining and rising and it will not rise anymore if we hold it back and tie it up with ropes of anti social activities, communalism, terrorism and dualism. Get together – get along and be the backbone of Indian Democracy – and do not become spineless yourselves. Let us come together and stand united. Hope to have a better India – a better place to live in – a better place to breathe in! Jai Hind! Times Of India's Viewpoint on this issue:Organisations like the Sri Ram Sena are emboldened to act as they did in Mangalore because the cost-benefit equation works out very well for them. The benefit from such boorish moral policing is in the form of national publicity that lures fresh recruits to the ‘cause’. And the cost is possible arrest and a very short jail term. It’s important, therefore, to raise the costs. In this case, for instance, they could be charged under Section 153A that deals with offences against public tranquillity and carries a sentence of up to three years. It must be used not just against the actual miscreants, but also office-bearers of the Sena. Rigorous prosecution leading to conviction should help persuade them to desist from such anti-social behaviour in future. see India the concept as a country is not very old really ... British India was the closes to what it is today .. otherwise we were pretty much like europe .. same religion and customs .. different languages and clothings and certain other traditions .. weren't we ..? see Sub continent has to be more profoundly understood .. More importantly Indians need to understand that now they are not a sub continent nor a loose conglomeration of nation states but a single unified unit .. a NATION ! Personally I feel the word nation will resound amongst Indians after 50 odd years .. why ? because till a few generations before the concept of a nation was not there ... freedom struggle you may cite as an example .. but really can you ??? how many of us realise that we are the only country which has diff. names in diff languages ??? Bharath--> hindi, christened by the hindus.. Unity in diversity .. but do we realise that ..? hw many do ??? Its a shame on our society and destroys the basic fabric of our constituion. The soverignity, integrity, self-respect and threatens the very freedom of right 2 exist. Can we say they are own home grown terroists exploited by vested interests? Bent 2 destroy our country after earning the freedom from the British. A nip in the bud is humanely desireabe, ut who will bell the rogue monster? Sad 2 see these things happen in our so-called and proclaimed modern society. These psychopaths need to be reined in. God b with u.
wen i heard this piece of new on the tv, i was infuriated, first thought tht came to mind was- girls can not feel safe in their own country, around their own people. yes, this is very shameful tht those people are badnaming the gods and using them for things like that- assualting women. this is somewat like the taliban with in india itself- in the name of Gods, they are doinf such shameful things- SriRam sena- the name itself the synonym for maryada puroshottam- and doing such amariyadit activities ? yeah u raised a vy valid point that how come in a secular state of india such religious parties do get recognised? i heard it on tv tht the govt of karnatka is thinking to disrecognize this party. but wat all shiv sena, bajrang dal have been doing since past so many years in the name of western culture taking over indian culture, why havent they been disrecognized as yet? we ll be hearing similar news in the coming days as valentines day is approahing again, lets see what they are upto now. This is massacre mates ... this is hard truth that we are not united and we are still thinking of our own self rather than thinking of the Nation ... Cleanliness in our cities and towns is a matter to ponder upon ... we cannot keep our cities clean - that is making us dirty and our souls untidy ... everything is related - well thats what I feel about it ... we need to take steps - but before that we need to get together and united! For all of us know, we shall fall if we stand alone!! Lets learn and grow together!! We are glad to inform to you that the launch of www.naukriforwomen.com is LIVE NOW. The first and most valid benefit that will accrue to job seekers on www.naukriforwomen.com is that there will be no male competitors. This means that more than half of the competition has already been eliminated!